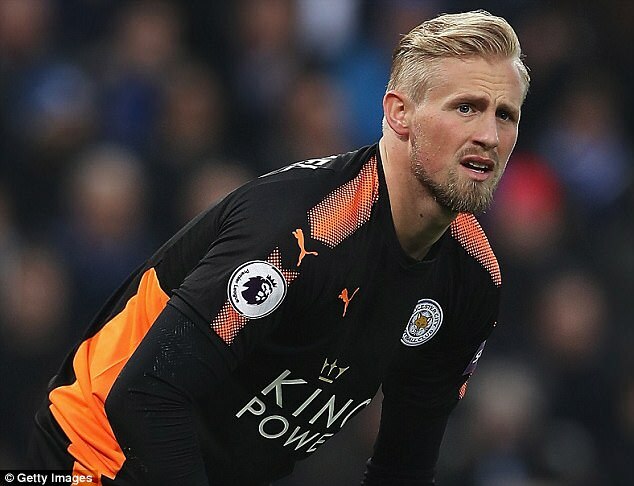 Leicester City's Kasper Schmeichel has told ESPN he believes this summer of record-breaking transfer fees for goalkeepers reflects how important the position has become for title-chasing clubs, and thinks that Paris Saint-Germain's €222m signing of Neymar last summer has sparked the surge in prices for top No. 1s. Liverpool paid the largest ever amount for a goalkeeper to sign Brazil international Alisson from Roma for £67m earlier this summer, a fee which is set to be eclipsed by Chelsea to bring in Kepa Arrizabalaga from Athletic Bilbao before Thursday's transfer deadline. Schmeichel, speaking ahead of Friday night's Premier League season-opening match against Manchester United at Old Trafford, thinks that Neymar's world-record move to PSG last summer has led to top goalkeepers costing so much now. "I think generally transfers are ridiculously high at the moment," Schmeichel told ESPN Brasil's Joao Castelo-Branco before it was confirmed that Kepa's €80m release clause had been paid. "It was only a matter of time before goalkeepers would get in on the act, because a good goalkeeper can be the difference between winning the league and not winning the league.